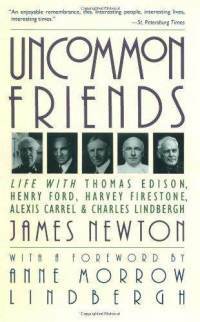 A book I have yet to read and has long been on my GET list is called Uncommon Friends: Life with Thomas Edison, Henry Ford, Harvey Firestone, Alexis Carrel and Charles Lindbergh. It is a 1987 publication that tells the story of the close life-long friendship that existed between these five extraordinarily accomplished men as well as James Newton the book’s author. It has long been my belief that if you surround yourself with enough good people and discard the folks in your life who have a negative influence on you, you can’t help but be successful. These five men written about in Uncommon Friends could hardly be higher in achievement. Ford, Lindbergh, and Edison need no introduction to anyone educated beyond the 6th grade. Alexis Carrel and Harvey Firestone are less familiar historical figures, but nonetheless accomplished. Alexis Carrel was a French surgeon and biologist who was awarded the Nobel Prize in Physiology or Medicine in 1912 for pioneering vascular suturing techniques. Harvey Samuel Firestone was an American businessman, and the founder of the Firestone Tire and Rubber Company, one of the first global makers of automobile tires, and early investor in Henry Ford’s Ford Motor Company. These men set high goals for themselves and met regularly through life to discuss how to accomplish them. It’s not an uncommon thing to have friends who together and/or separately accomplish great things. I believe it’s not unlike a leaf on the water being caught up in the wake of a fast-moving rowboat or canoe and subsequently moving along the surface of the water at the same speed as the boat…at least for a moment. I frequently take my canoe to nearby lakes where I fish; though, rather than a leaf I’m far more familiar with a lily pad getting caught…not in my wake…but in my fishing line. My family is blessed to have several extraordinary people, who have impressive, even great accomplishments on their resume’s. For a middle-aged guy, with a middle-income life, from a lower middle-income single parent upbringing my connections to greatness or near greatness are, I believe, unusual. My brother, just one year older than I, is a millionaire several times over. He travels the world. He sets up companies for public stock offerings hopping from company to company collecting stocks and equity as he goes. My sister-in-law is an attorney at Microsoft. She’s educated at Cal-Berkley. And has made quite a name for herself in Seattle philanthropic circles. My father-in-law, George Fleming, is a University of Washington legend. He was awarded MVP of the 1961 Rose Bowl while leading the Huskies to a surprise victory over then Number 1 rated Wisconsin. He followed that with a 25 year career in the Washington State Legislature. But despite my family connections and their accomplishments my wife and I are not unlike most people. We are on our own. And while grateful for all the support and help we’ve received over our 25 year marriage, what we have accomplished or failed to accomplish comes strictly from our own efforts. We’ve never hitched our wagon to another high-flyer and joined them for the ride. I thought of the connection between high achievers recently since I had a difficult decision to make. My wife and I got into the direct-sales industry through an incredible company called, AdvoCare, only 4-5 months prior to this writing. We did so after first enjoying the benefits of using the AdvoCare nutritional products. They were fantastic and literally changed my life and the life of my wife. Our health has not been so good since decades before. In determining that we would try representing AdvoCare we agreed to give it 3-6 months of effort. If the company, the products and the income were worth continued effort after that then we’d certainly give it. A trip to AdvoCare Success School in Dallas, Texas in mid-February is fast approaching. Finances are tight. And if I am to go to Success School I’d first have to determine, in conjunction with my wife, that we did want to continue working AdvoCare as a business. And secondly, I’d have to figure out how to pay for the trip. 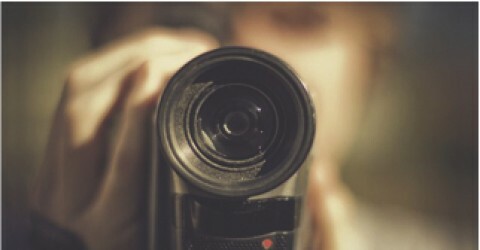 Because though my company, Total Broadcasting Service, is and has always been profitable in its 8 years and my wife makes a good living outside of our company, the economy of 2009-2011 impacted us to the tune of high credit card debts. And catching up is tough. A trip to Dallas and two-day hotel stay would just mean more credit card debt. We made the decision to go, to make the trip, to incur the debt and to continue to help people by introducing more and more of them to AdvoCare, in part because of my belief in our friends who got us into AdvoCare. (I’m not sure they’d want me to use their name’s publicly here. So I won’t. But contact me and I’ll tell you all about them) My friend, to whom I refer is someone I’ve known since shortly after he got out of college. In age, he’s about 10 years my junior. I worked with him for several years at the same company. I only met his wife in the past year. But it’s clear that she, like him is special. And I intend to benefit from the association. I intend to be taken up in their wake and pretty soon make my own wake. My wife and I live what most would term an upper middle class lifestyle. But we can do a lot better. By better I mean more income, more vacation time, more money to help our grown kids, more time and money to help and care for more people, and a freedom to do things we cannot currently envision. My friend may not be Thomas Edison or Henry Ford or Charles Lindbergh. But then again. He might be. And if he is I intend to gain from it. Some cliche`s come to mind: Familiarity breeds contempt. And A prophet is never known in his own land. Too often we allow familiarity to blind us to a person’s true greatness and thus deny ourselves of that which is great about a person because we know what aspects about them or their history aren’t great. When you do so you only hurt yourself. Thanks for listening. Comments are welcome.